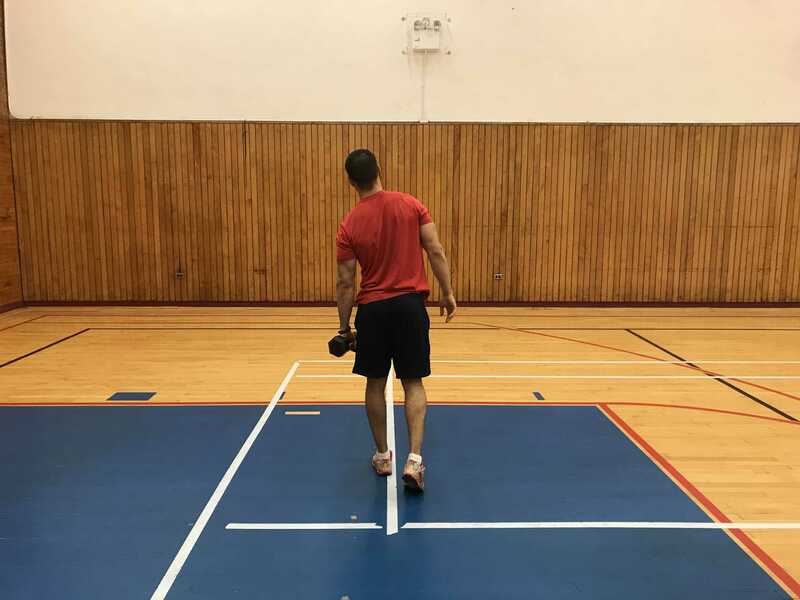 Weighted (loaded) carries are an extremely beneficial exercise that challenges the core musculature in one of the most functional ways possible. They teach you how to hold an uneven load while maintaining your spinal integrity, which mimics numerous real-world activities (carrying groceries, your children etc). Carries can be done with minimal equipment and it combines walking with strength training. These should be a staple exercise in all training routines. The Waiter Carry is the most challenging variation of the three, as you have to balance the weight above your head. This variation is less challenging than the Waiter carry, and thus you can use a slightly heavier load. This exercise is meant to primarily train your core muscles. Do not let your spinal integrity change just to get through the exercise faster.